The permanent collection of Purdue University Galleries is home to artworks that represent exciting approaches to color usage. Color plays an important role in art and design, as it affects our visual experiences by building identities, engaging the senses, and fostering conscious and unconscious thinking patterns. Curated by Petronio Bendito, Ed.D. Associate Professor in Purdue’s Department of Art and Design, this exhibition showcases a broad range of approaches in which the artists combined colors in expressive and evocative ways. 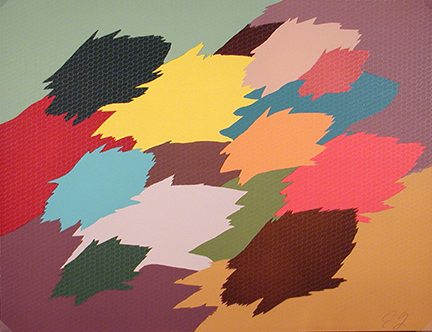 It features a selection of works that Bendito identified while surveying the Collection for his research on color design methods, presented in thought-provoking groupings.